BALTIMORE, MD (KTRK) -- The Transportation Security Administration is now in possession of one mean pair of high heels. 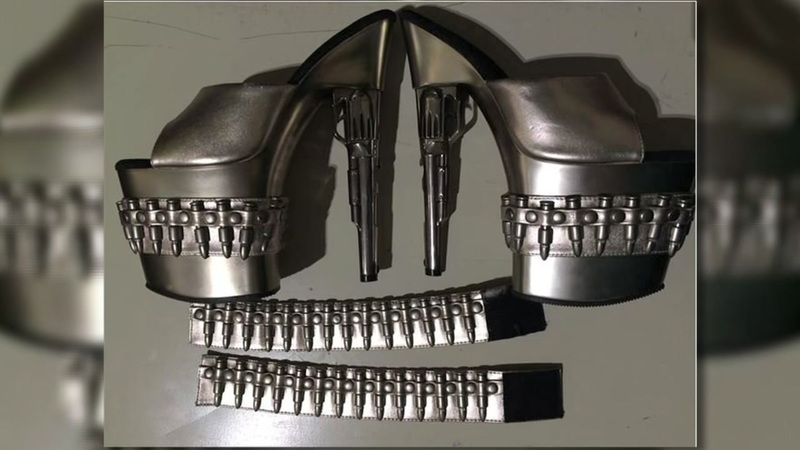 An air traveler in Baltimore tried to bring gun-themed stilettos in her carry on bags. Of course, the TSA had to take a closer look. The agency does not permit any replica guns past checkpoints. The woman was forced to leave them behind because it was too late to add them to her checked luggage. The TSA says this is a reminder to leave anything that even looks like a gun at home.